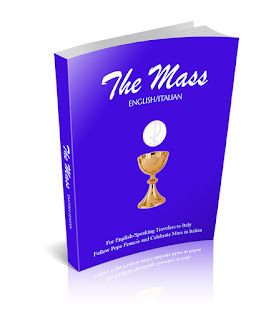 New Kindle Release: "The Mass English/Italian"
There is nothing more annoying than to be hurriedly escorted out of a chapel, baptistery (I'm thinking of the one across from the Duomo in Florence), cathedral or basilica, just as you are absorbed in a careful examination of a wonderful work of art or sculpture because daily Mass is about to begin. The next time this is about to happen, you don't have to leave; Decide to stay; attend the Mass. Just say to the guard, "La Messa," and indicate you are about to find a seat. So what the Mass is in Italian. 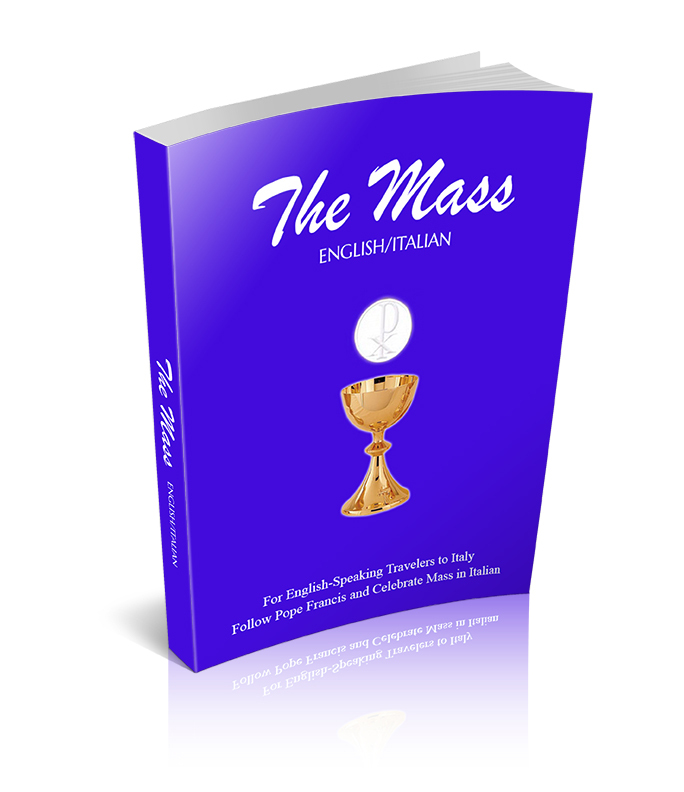 Once seated, pull up your copy of The Mass English/Italian on your Kindle, Ipad or smartphone and follow along. Don't be surprised while you sit, stand and kneel during the daily prayer of the Church, just how many things will capture your gaze that would have otherwise been missed, while you struggle to find coins to feed the light switches that only shine on artwork or sculpture for too brief a moment. Weekday services usually do not last more than 30 minutes. You'll discover there is no better way to allow the beauty surrounding you, to truly sink in. Are you up for a special treat? How about St. Peter's all to yourself (Well, almost) Get there early in the morning between 8:00 - 8:20 AM, before the basilica opens and is flooded with tourists. Again just say to the guards "La Messa." Once inside, head for the Blessed Sacrament Chapel on the far right side; Mass begins at 8:30. If you like today's issue, why not become a subscriber to Postcards from Rome? To start receiving your own copy of Postcards each week in your email inbox, click here and enter your email address on the far corner of the webpage. Be sure to check your email in-box for a confirmation email, then just click where indicated to activate your subscription. Or, forward this e-mail to a friend so they can sign-up to receive Postcards from Rome as well. You can also choose to receive Postcards From Rome as an RSS feed. Click on the small orange button (Subscribe Now Feed Icon) on the right side of the webpage to activate the RSS. Then you will receive new "Postcards" on your email homepage, and you will have all past "Postcards" archived at your fingertips. Be sure to check your email in-box for a confirmation email, then just click where indicated to activate your subscription. One thing, that unites lovers of Italy everywhere, is the ceaseless hunt for great airfares. If we are not there, great fares offer a chance to return sooner than we think; If we live in Italy, it's the perfect gift for kids or grandkids to allow them to visit. Norwegian Air recently announced insanely low airfares from New York JFK to Oslo and Stockholm this winter, and to Rome this summer during July and August! For fares this low, it is well worth a detour to Norway or Sweden this winter for a few days, then pick up a discounted Ryan Air, Easy Jet or Norwegian Air flight into Rome, Milan or one of Italy's smaller airports. The summer 2014 fares are just outrageous and I understand they are selling quickly, so don't waste a minute before checking the Norwegian Air website for departure times. Why these deep discounts at the height of the summer vacation season? Norway is awash in money from its North Sea oil production and is eager to boost the country's tourist industry. With it's spectacular venues for skiing and winter sports, these low cost flights will make Norway and Sweden even more attractive winter vacation destinations. When the usual summer airfares from New York to Italy are in the $1500-$2000 range, these summer discounts clearly indicate Norwegian Air wants a piece of the lucrative air traffic into Milan and Rome. You may not be aware, but Italy comes in at Number five on the list of the world's most popular tourist destinations just behind Paris, New York, China and Spain. Another point of information, you can save a few hundred dollars if you opt for a stop-over instead of a direct flight to Italy. Schedule the stop-over to allow enough time for a few fun hours of sightseeing if you are in one of the many fascinating European capitals such as Lisbon, Istanbul or Moscow. Enjoy the day, your luggage has already been checked through to your final destination--Italy. You can also choose to receive Postcards From Rome as an RSS feed. Click on the small orange button (subscribe as a Reader) on the right side of the webpage to activate the RSS. Then you will receive new "Postcards" on your email homepage, and you will have all past "Postcards" archived at your fingertips. Be sure to check your email in-box for a confirmation email, then just click where indicated to activate your subscription. How does one come to fall so compellingly and passionately in love with a place? A city that at first glance was boisterously noisy with overcrowded buses and metros and the ever-present roar of car engines as impatient motorist maneuvered vehicles like frustrated Formula One drivers and raced along ancient city boulevards at superstrada speeds. Traffic was anything but pedestrian friendly, crossing a thoroughfare like the one between Piazza Venezia and the famous Victor Emmanuel monument (you know the “wedding cake”) was a serious cause for trepidation. There were no lights! The maze of dark forbidding narrow streets packed with cars parked almost upon each other unexpectedly change names from one block to the next. While terrifying Vespa riders, intent on defying death, weaved in and out of traffic and between parked cars, often times riding against traffic in a desperate search for daylight. Like a violent jolt the cities frenetic pace forced me to realize I had to keep my inner radar going 360 degrees at all times. Near famous historic sites and popular piazzas jittery, dirty, poorly-clad youngsters lurked about, sometimes accompanied by veiled young women in trailing dark skirts grasping babies to their chest, forever on the lookout for an awestricken unsuspecting tourist to beg, pilfer, or pickpocket. A friend actually had her purse stolen while she was sitting in a taxi waiting for the traffic light to change! Most disappointing of all, the spectacular baroque architecture and sculpture that adorned churches and grand fountains were black from a century of automobile fumes. Under the soot one could hardly make out the unique features of a building facade much less marvel at the hidden mosaics. That was Rome 20 years ago. Before the massive clean up and refurbishment that took place over the next several years to prepare the city for the millennium Jubilee year 2000. Hardly a vestige of that city remains. Rome is once again as pristine, alive, and captivatingly beautiful as it appears in the picture postcard 1954 movie, Three Coins in a Fountain. No one with a sensitive heart, a penchant for romance, or a love of history can resist its most obvious and endlessly unraveling charms. Traveling with a group of friends a few years ago to attend a wedding in Florence, I found myself alone on a day the others had opted to go off on a sightseeing daytrip to Pompeii. Determined not to be put off by my alarming first impression years before, I mapped a course from the hotel to the Villa Borghese Museum, stuffed the map in my coat pocket, and set out on a dismal overcast January morning. No sooner had I left Hotel Cavour a light misty rain, almost like snow, began to fall. Since I had forgot to pack an umbrella there was no point going back. I would continue on and pick up an inexpensive umbrella from a street vendor along the way. Exiting the Metro at Via Flaminio, I wasted no time getting lost. The signage in the Villa Borghese Gardens pointing toward the museum never brought me there. Obviously, I must not have followed the arrows correctly. After all, how large could the Park be? Eventually I had to find the place. 10 minutes became 20, then half an hour, then later. I was still lost, getting wetter by the dewdrop. Too embarrassed to fuss with a map in the rain and leave no doubt of my tourist status, I continued to search in vain. The park was gloriously green despite the slight chill of winter, so I decided to just calm down and see where the maze of paths would lead. As it turned out, I never found the museum, and could not even discover a path that would lead me out of the gardens and back to civilization. I did find the impressive Villa Guilia. It was closed. My search continued amidst lush winter evergreens and statuary marred by graffiti. I knew enough to say “dove museo Villa Borghese?” (where is the Villa Borghese?) But my poor grasp of Italian made me hesitate to ask. I feared the response would be rattled off too quickly for me to comprehend. By this time, I had been whistled at by men on passing mopeds, one even insisted on following me for several nerve-racking minutes! On I walked. There was no reason to be frightened; after all I was in the middle of a major city. It would be only a matter of time before I’d find a way out of this labyrinth. A sign with arrows pointed toward the Piazza di Spagna! I wondered how was it possible I had gone so far. Di Spagna is a full metro stop from Flaminio! I followed the arrows a distance. A little beyond some sculptures I came to a walled parapet proceeded by a few steps. Curious, I ventured to explore what might be on the other side…an overlook perhaps. And oh…ah! What a sight! I forgot my discomfort and damp clothes. From a high vantage, it seemed the whole of Rome was spread out to welcome me. 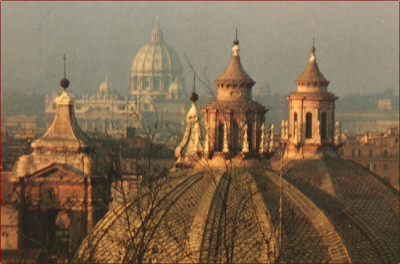 Wonderful cupolas, terra cotta tiled roofs, soaring bell towers. 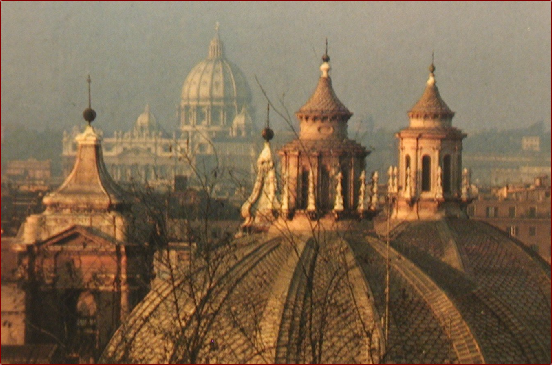 And far in the distance, the almost dim dome of St. Peter’s could just barely be made out in the dusty mist. The blue gray sky and light rain made it ever so much more beautiful. Tired and wet, I never found a vender with umbrellas. What I did find was energy to gaze for a long while. Then, I thought to look down. What should I see? Way, way beneath me, many stories below, Bernini’s Fontana della Barccaccia, the famous fountain at the foot of the Spanish Steps. The wide square and Via Condotti were alive with shoppers bustling about despite the rain. Familiar ground, I had found my way. I knew where I was. Such a view! Balissimo! Such sublime beauty! Nothing gives one a sense of ownership like getting lost in a place and finding one’s way however accidentally. The city had won me. From that day, Rome has remained with me. It is my personal treasure. Every year I can’t wait to return. My heart is here. I know someday I must live here. Someday has arrived and I invite you to join me as I fulfill a long held dream to call Rome…home. With my Mom’s health now on the mend the time is right to make the leap. Postcards from New York readers have no fear, the blog and ezine will continue weekly but in the future I look forward to dividing my time between these two remarkable cities and hope you will join me as I chronicle the Rome adventures in Postcards from Rome the blog and ezine for Live in Italy Now. As I make the transition, I look forward to discovering the Eternal City in a far more intimate way then I ever have as a tourist and frequent visitor. I would love to have you along as I learn my way around, get my bearings, and by hook or by crook become a resident of this endlessly fascinating and yes, a bit intimidating city. If you enjoy the brief sketches of New York captured in Postcards from New York then you will love Postcards from Rome as we bring you the sights, sounds, glorious fountains, grand piazza’s, hotspots, places on the beaten track and entirely overlooked not just in Rome’s historic center and seven hills (the areas best known to tourist) but in the many diverse neighborhoods (there are 22 called rioni ree-oh-nee) as well as nearby towns and villages, places farther a field like Florence, Orvieto, Bologna, Milan, Venice, Naples and much more. After all, Italy…all of Italy will be our backyard. Just like a colorful postcard we want to become your one-minute vacation to the Eternal City, a welcome diversion from the demands of your busy day filled with helpful tips and advice to help you better enjoy Rome and Italy on your next visit. Do you love to travel? Love Italy? Love Rome? Italy is one of the world's top travel destinations because of its beauty, its history, art, culture, food and most of all, its people. So no matter whether you are an armchair traveler, planning a visit, cherish memories of past visits, have secretly thought you might one day be an expat and live here, you’ll find Postcards from Rome a handy guide and useful resource. Best of all…it’s FREE, click here to join the adventure. - How to finance the purchase of a primary residence or 2nd or 3rd home in Italy. Why Rome and not Postcards from Venice, Postcards from Milan, Postcards from Capri, Sorrento, Portofino, or Ischia? All of Italy from the Alps to the Boot is irresistibly beautiful. Over the years I have visited many regions and fallen in love with the mountains and lakes of Piedmont and Lombardy, the pristine countryside and seductive hilltop villages of Tuscany, Umbria, Le Marche, the quaint and memorable little cities of Lazio and Emilia Romagna. I’ve had the pleasure of experiencing city, village and country life in grand hotels, small pensions, private apartments, in magnificent villas and palazzo’s as well as farmhouses, monasteries and abbey’s. Country life à la Under the Tuscan Sun is too remote and tame for my taste. I’m a big city girl. While I adore Florence and Bologna, the “buzz” of Rome ignites my imagination with endless possibilities. Despite my first off-putting experience Rome has always felt uncannily familiar. I feel strangely “at home” as if I’ve lived here all my life. The mad paced traffic, screeching metros, and speeding buses mirrors New York’s energy especially at rush hour, but that is where the comparison ends. Walk the cobbled streets behind the Colosseum or bordering the Vatican in Prati, the narrow alleyways near the University in the San Lorenzo rione, or along the Tiber in Trastevere and it quickly becomes apparent Rome is a cluster of many small villages bundled together to form a metropolis. It offers one the advantage of living a village life “local and communal” yet be part of a “big” city with more history, art, sculpture, architecture, ancient monuments, culture and countless restaurants than one can hope to explore in a lifetime. Almost everyone who has ever visited Italy has made the leap if only for a moment and imagined what it would be like to live in this amazing country. If you have, or if you would just like to learn more about living (a month, or two, all year or some part of it), retiring, working, or starting a business in Italy, than Postcards from Rome is for you and we invite you to join us (click here). Every week we will share what we learn not only about “la bella vita” (the beautiful life), the fun stuff, the great food and wine, the people, the breathtaking landscapes and countryside all the things that make Italian life so sought after but also the complications, the everyday challenges of living here, the “dark side” the faltering economy, the falling Dollar to Euro, mistakes made along the way and how to survive it all. If nothing else you will discover great places to visit, wonderful restaurants and things to do on your next or very first trip to the Eternal City. Simply click here and sign-up, remember it is free. You can choose to receive Postcards from Rome as a Blog post, an email in your Inbox, or as a RSS feed that appears on your Home Page (just click on the orange button on the far right side of the homepage). Samuel Johnson, speaking of 18th century London, once said, “when a man is tired of London, he is tired of life.” Much the same can be said of Rome, after more than 25 centuries there are no end of wonders to uncover because familiar sights and experiences frequently reveal new secrets. Come with me and discover these secrets as I realize my dream and Rome becomes “home.” Let these adventures inspire you to follow your dream whether it is to visit or live in Rome, another part of Italy or some other foreign place. Believe it truly is within your reach and armed with the terrific insights, tips and perspectives you will gain from Postcards from Rome you will make it happen. Let’s discover Rome together click here now. 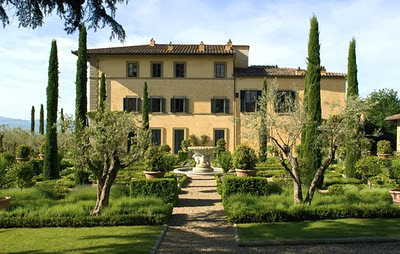 What better place to begin the adventure of realizing a dream home in Italy than by contemplating ultimate dream homes. While the classical remains of a magnificent villa like the emperor Hadrian's Tivoli estate will forever tease our imagination as to what it must once have looked like; it doesn’t take much for dreams to take flight when considering these much photographed celebrity homes. Why are these homes and vineyards of special interest? Because you can actually visit and even stay at some of them! 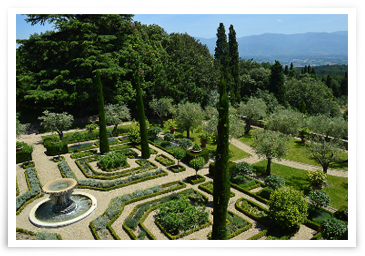 900 acres of lush forest, beautiful lakes, landscaped gardens, vineyards, olive groves and a five acre vegetable garden, IL Palagio is less than an hour southwest of Florence on the outskirts of the medieval town of Figline in the Chianti region of Tuscany. Astoundingly gorgeous views of undulating hills and surrounding countryside can be enjoyed from many areas of the estate and from the Villa windows. The 16th century villa and grounds, from ancient olive groves to formal gardens, have been painstakingly restored over several years by Sting and his wife Trudie Styler. The couple announced recently their beautiful home and grounds are now available for special events and weddings! The estate accommodates up to 200 guests, the villa has nine bedrooms, and there are five guest cottages, a fully equipped recording studio, and wine cellars suitable for dining. Individual cottages rent for approximately $9500.00 per week. Olive oil, salami, honey and 16 selections of Toscano wines produced at Il Palagio can be purchased at the estates Farm Shop, Tenuta Il Palagio, located at Via Sant Andrea II in Figline, as well as at Harrods’, London and Eli’s, New York. To order directly from the estate or inquire about accommodations go to: www.palagioproducts.com. 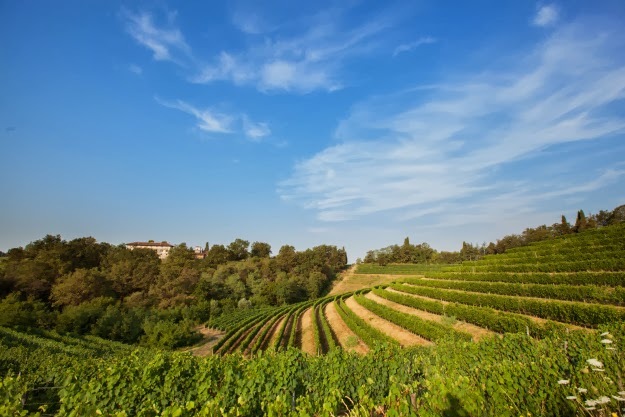 Famed chef and restaurateur Lidia Bastianich and son Joe founded Bastianich Vineyards and Winery, on their family ancestral grounds, to stimulate greater awareness of the extraordinary wines of the Friuli Venezia Giulia region of northeastern Italy near Austria. Two months ago, Lidia opened Orsone, a small intimate and informal restaurant and B&B with six bedrooms and one full suite on the grounds of the vineyard. The restaurateur explains “the B&B is the best way for guests to leisurely explore the vineyards, take part in wine tastings and enjoy great food at the same time.” Orsone offers a contemporary interpretation of Italian food. Located about an hour and fifteen minutes from Venice, a car can be arranged to take guests to and from Marco Polo airport. Inquire: www.orsone.com, info@orsone.com, 39-043 273 2324. Two years ago, Palazzo Margherita hosted daughter Sophia’s wedding to Thomas Mars. Coppola exclaims “for me Palazzo Margherita is a dream come true.” A dream he has decided to share with discriminating travelers who seek a unique experience in an area little known to tourists. The Palazzo features understated luxury and all the intimacy of a private home with only nine suites, each different in character and personality. 20 minutes from miles of white sandy beaches, not far from two 18-hole golf courses and close to many picturesque villages, there’s a lot for visitors to explore. A state-of-the art theatre, with an extensive collection of classic Italian films, makes for special after dinner viewing. Rates: from about $1150 per night. Inquire: www.coppolaresorts.com, info@palazzomargherita.com, 39-083 554 9060. 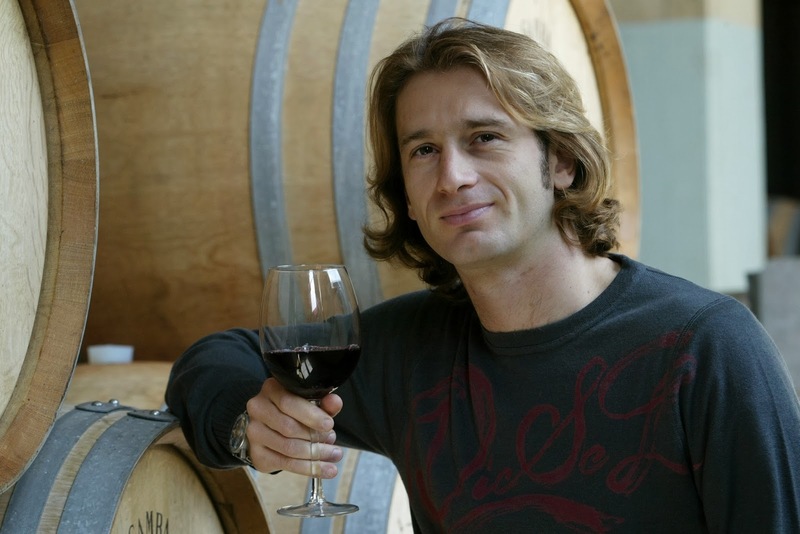 Formula One race car champion JarnoTrulli’s family have been in the wine business over 100 years, both his father and grandfather cultivated vineyards. When the Villa Castorani estate and its extensive vineyards 18 miles from his birthplace Pescara in southern Abruzzo became available in 1999, Jarno jumped at the opportunity to acquire the property. Today, Podera Castorani cultivates a variety of grapes to produce a diverse selection of 26 wines. Castorani grapes have no chemical pesticides or fertilizers and wines are certified organic. Jarno travels the world introducing audiences to the exciting variety of wines produced in the Abruzzo region of Italy, although not as well know as wines from Chianti, Abruzzo produces more wine than Australia. Podera Castorani is open for tours and wine tasting. Once renovations are complete on Villa Castorani, visitors will be able to enjoy the intimate luxury of a 30 suite boutique hotel, ideally situated on the highest elevation of the estate to offer magnificent views of the Adriatic on one side and mountain vistas of Majecca National Park on the other. Inquire: www.castorani.it, info@castorani.it, 39-346 635 5635. Armani’s farmhouse near Versiliais on the Tuscan coast not far from the medieval town of Lucca is one of the famed designer’s many retreats. Although rustic in style, the classic stucco structure with hand-crafted clay tiles features every amenity of country-living to provide a welcome escape from the pace of cosmopolitan Milan, home to Armani corporate headquarters. The Bocelli Vineyard, La Jatico, located in the beautiful Val d'Arno region of Tuscany has been the family home for generations. A recently renovated Farmhouse on the estate features two private apartments for rent. Experience an unforgettable Bocelli vacation, visit the vineyards, taste the wines, sleep in the place where famed tenor Andrea was born, and perhaps see him (if he is not on tour or in concert) horseback riding on the estate. To find a Bocelli wine retailer near you contact: dantzel@augustwinegroup.com. To book tours or accommodations, Inquire: www.bocellifarmhouse. com, www.bocellifamilywines.com. Secluded Villa La Cagginella, on the Ponta di Lavendo peninsula of picture perfect Lake Como, is only accessible by boat or helicopter. While this remote estate is for the billionaire’s personal use only, Sir Richard Branson does make his private Caribbean island retreat, Necker Island, available to guests. For $60,000 a week Necker Island can be your private get-a-way. Inquire: www.neckerisland.virgin.com. French actress Carole Bouquet, best known to American audiences for her role as the Bond girl in For Your Eyes Only and as the face of Chanel #5, since 2004 has produced Passito wine (dessert wine). Her vineyards' grapes hang in terraces high in the rugged mountains of Pantelleria, a tiny island in the Straits of Sicily, in the southern Mediterranean, 37 miles from North Africa. Known as the Black Pearl in the Mediterranean the islands soil, 70% volcanic stone and 30% clay and lemons, produces the Zibibbo grape, unique for its ability to withstand harsh North African (sirocco) winds and scorching sunlight. Winds are known to blow on Pantelleria 321 days a year! 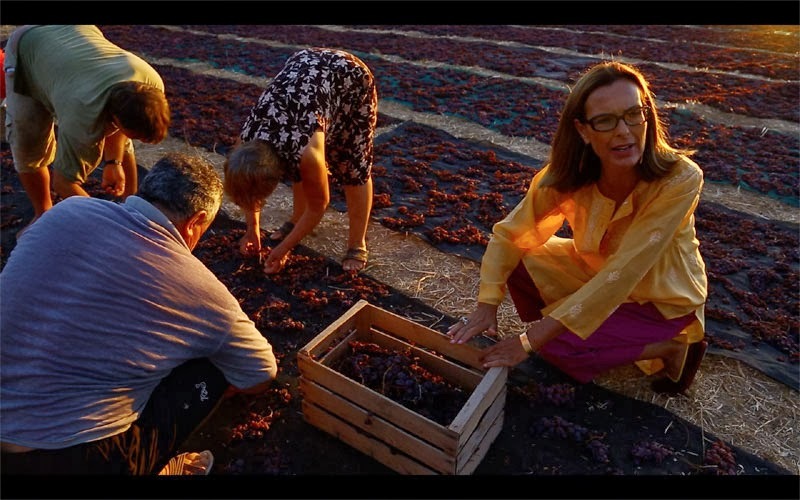 Carole fell in love with the island and realized the potential to create a very special dessert wine. Back in 1994 she began purchasing small parcels of land from locals in the remote mountains areas, eventually accumulating over 32 acres, she has successfully revitalized the process of creating Passito wine. The tiny Island is a trek from Sicily but can be reached by ferry and hydrofoil from Trapani. Wines are available in fine restaurants throughout Europe and the US and at many wine retailers. Inquire: www.sanguedoro.it, 39-33 523 6220. A 500 year old Castle in the village of Tiggiano Apulia, complete with turrets, a moat, dungeons and massive fireplaces, was acquired by Dame Helen Mirren and her husband, Oscar winning director Taylor Hackford in 2007. 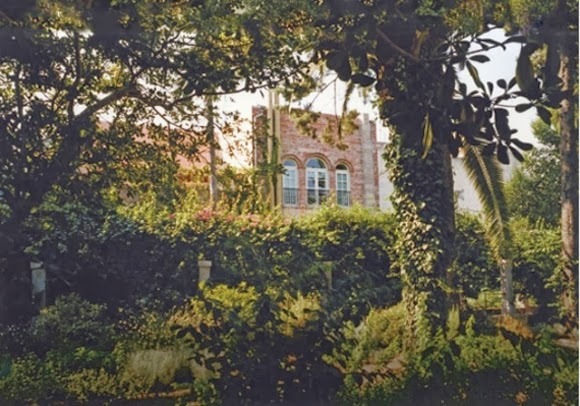 The couple immediately set about renovating and restoring the long uninhabited property as well as landscaping the centuries old olive groves and rose gardens. Le Matine, just outside the beautiful Baroque town of Lecce (the Florence of Southern Italy), is not far from the Mediterranean coast, is the couples vacation retreat. Like Frances Ford Coppola's Palazzo Margarita in Basilicata, Castle Le Matine is a distance removed from the tourist hordes that flock to the popular attractions of Milan, Venice, Florence and Rome. 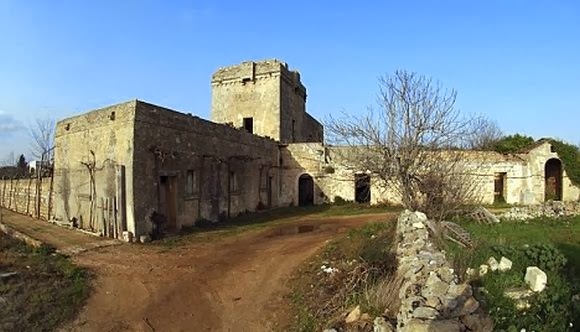 The abandoned Castle was purchased for under $500,000, evidence of the attractive property opportunities that still can be found in the more remote regions of Southern Italy. Dame Mirren will spend at least that amount in restorations. 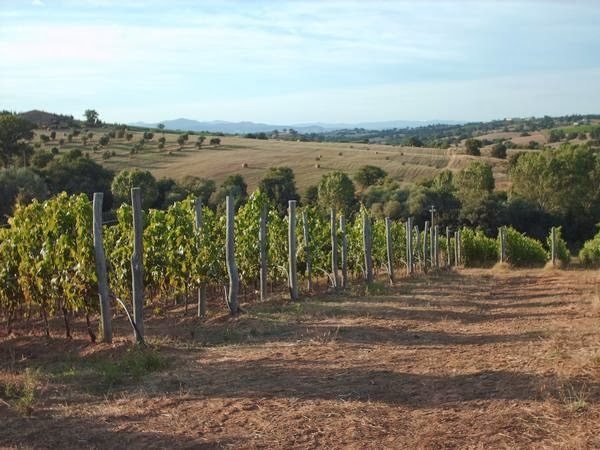 La Mozza Vineyards, founded in 2000 is a joint venture between Mario Batali and Lidia and Joe Bastianich, was created to popularize the grapes and wines of the little known Maremma region. Caught between sea winds and an arid climate, this area of southern Tuscany produces a very special grape. 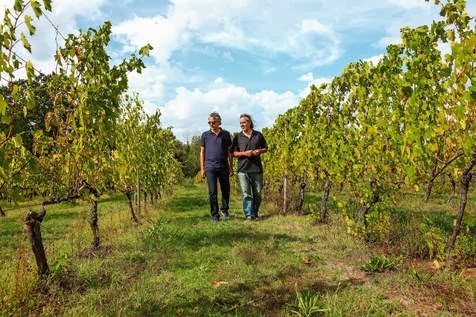 In the midst of cattle country or the land of white bulls and Italian cowboys, La Mozza Vineyards is eight miles from the Tyrrhenian Sea and about an hour southwest of Montalcino. To visit inquire: www.lamozza.com. Find a wine merchant near you at: contact@bastianich.com. 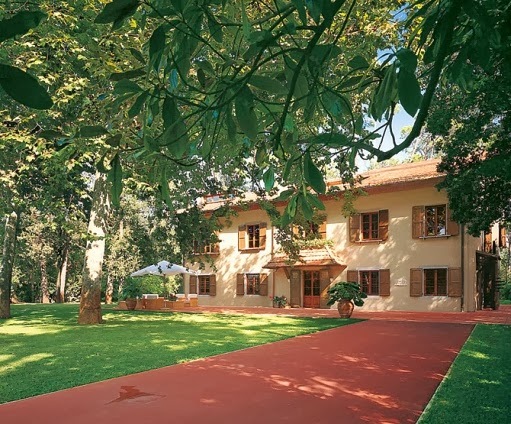 No story about celebrity homes in Italy would be complete without mention of George Clooney’s exquisite Villa Oleandra. Perhaps the most famous part-time resident in the country his presence has been a boon to tourism. Single-handedly, he has influenced the appreciation of property values on the lake and in northern Lombardy. 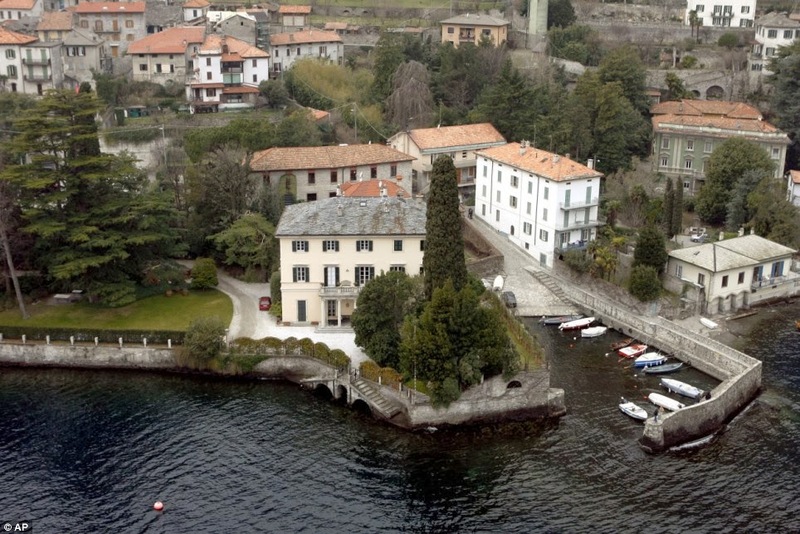 Frequent visits, by his celebrity friends for weddings and honeymoons, and a featured location in Clooney's Ocean's 12, have brought to every travelers’ attention the stunning beauty of Lake Como and the mountains surrounding the lake as a vacation get-a-way. Italy is now the number One wedding and honeymoon destination in the world. Itching for an insider's view of Italy as a place to visit, work, live or find your dream home? Sign-up today for the free weekly newsletter Postcards from Rome at: www.liveinitalynow, or, to receive notice of the next Postcard from Rome Blog post, enter your email address in the small box to your right on the website. Photos courtesy of: Palagio products, Bastianich Vineyards, Coppola resorts, Castorani Vineyards, Architectural Digest, Bocelli Farmhouse, www.sanguedoro.it, La Mozza Vineyards and AP.